Earlier today, Destructoid user mrandydixon let us know that GameStop was listing a mysterious Call of Duty: Black Ops Limited Edition with DLC. We later noticed the game being listed on Best Buy, including the box art shown in the image above. Now Activision has confirmed with us that it's real, and that it's hitting North American retailers on June 28. The $59.99 game will include a redemption code for Black Ops' first downloadable content, "First Strike," which normally would cost gamers $15. 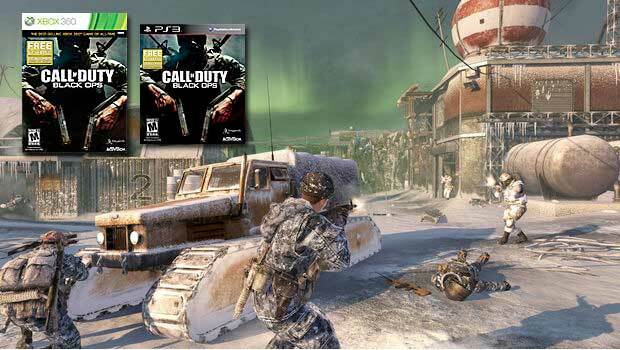 It will be available for both PlayStation 3 and Xbox 360. Folks who haven't purchased Black Ops, don't be shy -- this is the deal you've been waiting for, right?